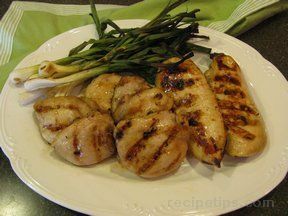 A soy marinade that is sweetened with some brown sugar, perfect for grilled chicken. The chicken caramelizes slightly from the brown sugar and stays moist and tender. Mix marinade ingredients well. Pour over chicken pieces. Marinate in the refrigerator for at least 2 hours and up to 12 hours. "DELICIOUS! 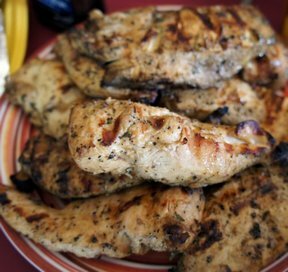 I used boneless thighs and breasts and they stayed so moist, even though I over cooked them a little."